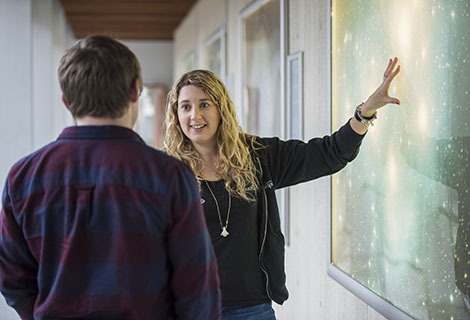 Outreach Leader Dr Sadie Jones loves exciting potential students about physics, astronomy and sciences and showcasing the world-leading astrophysics research carried out at Southampton. “I did my PhD at Southampton and the diversity of the research that goes on in Physics and Astronomy is amazing. The academics are really excited about their research and that enthusiasm filters into their lectures. “Since working here I have learned about some really awesome research such as the theoretical research into parallel universes and research into lasers and fibre optics for communication systems.